Peter Kent, MP for Thornhill, invites everyone to join him for a Family Skate. Councillor Anthony Perruzza, Chair of the Community Development and Recreation Committee (Ward 8 York West), and Councillor Janet Davis (Ward 31 Beaches-East York) will join City of Toronto staff to kick off the Let’s Talk Child Care campaign to promote the upcoming Parent Summit. The event will include the unveiling of four new transit shelter ads that will appear across the city this month. The purpose of the following Parent Summit meetings is to hear directly from parents their priorities, issues and challenges in accessing child care and other services for children and families. Findings will inform the City’s Child Care Service Plan and the new funding model for child care that is currently under development. South Summit Location: Central YMCA, 20 Grosvenor St.
Harbourfront Centre’s latest architecture exhibition, SCHOOL WORK: Innovative Designs for Education, looks beyond the traditional classroom model and explores creative design alternatives for enriching the learning experience. The exhibition presents the following architectural works. Architecture Connecting to Nature: A Strategic Tool for Student Success by BORTOLOTTO. Project Team: Tania Bortolotto, Alex Horber, Jerry Lin, Cherry Yeung, and Paul Aquilina. Benchwarmers by Tara Cooper and Terry O’Neill. CLASSROOM ACTIVITY by Workshop Architecture Inc.
Project Team: Helena Grdadolnik, David Colussi, Leah Scherk, and Thomas Petch. CONTEXT: 1+1=3 by CS&P Architects. Project Team: Paul Cravit, Susan Lewin, Peter H. Pastor, Kate Salmon, Montgomery De Luna, Rachel Kim, Courtney Klein, Milda Miskinyte, and Aidan Mitchelmore. In order to view the video, please click on “HD” at the lower right-hand corner of the video below, before clicking on the arrow. 28 Countries Presents 36 Films: All films are subtitled in English unless noted. FREE General Admission to all films on a First Come, First Serve Basis. If you want to secure a seat at any of the screenings, you can now book in advance on any of the film pages: Advance Reservation is $10 donation (all service fees included). 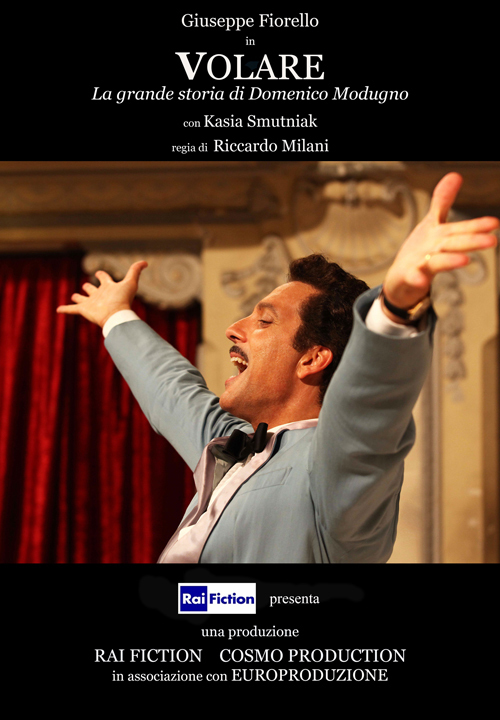 Italy will participate in this year’s edition with VOLARE: The Great Story of Domenico Modugno (Italy 2013, 131 min. ; directed by Riccardo Milani): Saturday, November 16, 2013 – 8:30pm. The Istituto Italiano di Cultura announces the Ninth Annual European Union Film Festival in Toronto (November 14 – 27, 2013) with the presentation of 34 Films from 28 European Countries. This festival showcases 28 contemporary films drawn from each of the EU’s member countries which include Austria, Belgium, Bulgaria, Croatia, Cyprus, Czech Republic, Denmark, Estonia, Finland, France,Germany, Greece, Hungary, Ireland, Italy, Latvia, Lithuania, Luxembourg, Malta, Netherlands, Poland, Portugal, Romania, Slovakia, Slovenia, Spain, Sweden, United Kingdom. European Union Film Festival (EUFF) is a unique festival and the only one in the world to bring together disparate EU Consulates and local cultural institutes for collaboration. Carlo Coppola will be singing “Volare” (Nel blu dipinto di blu), his acoustic version, before the movie “Volare”. Coppola is an award winning singer/songwriter. Please click here for the schedule of all screenings. Also, you can vote for the EUFF Audience Award after each screening. The winner will be announced after the closing night. Natrel® Rink is Toronto’s most scenic ice rink. It also has lots of space to zip around. There’s hot and cold food and beverages available at Lakeside Local Bar & Grill – just steps from the rink. 24-hour parking at the underground lot located on the site, just at the foot of Lower Simcoe Street and Queens Quay West. Also, there is a heated indoor change room with lockers and washrooms. Watch live webcam of the Natrel® Rink. They even rent skates and helmets for kids and adults. Residents of Toronto’s inner suburbs will now benefit from increased access to affordable, fresh produce following yeterday’s launch of a new Mobile Good Food Market bus which was donated by TTC and designed by LGA Architectural Partners and renovated by Crew Chief Conversion. Debbie Field of FoodShare Toronto was joined by Dr. David McKeown, Toronto’s Medical Officer of Health, Andy Byford of the Toronto Transit Commission, and Debra Shime of United Way Toronto to unveil this newly retrofitted bus. Research conducted by United Way Toronto and Toronto Public Health showed that many Torontonians face significant economic and geographic barriers to buying fresh and healthy food. Working in partnership with United Way Toronto and the City of Toronto, FoodShare’s mobile food vending initiative offers an innovative solution to overcoming these challenges, by bringing affordable and accessible food options to neighbourhoods that most need them. The bus is the newest addition to FoodShare’s mobile vending fleet. Free flu shots are now available at Toronto Public Health (TPH) clinics. A total of 29 clinics will operate at nine locations across the city between October 31, 2013 and January 9, 2014. Each year in Canada, approximately 20,000 people are hospitalized and 4,000 die due to influenza and its complications. Hospitalization rates are highest for children under five years of age and adults over 65 years of age.Symptoms include sudden onset of headache, chills, cough, fever, loss of appetite, muscle aches, fatigue, runny nose, sneezing, watery eyes and throat irritation. Nausea, vomiting and diarrhea may also occur, especially in children. Most people will recover within a week to 10 days, but some people are at greater risk of complications, such as worsening of underlying medical conditions, pneumonia and sometimes death. More information is available at http://bit.ly/u1XRfr . As well as getting the flu shot, TPH also recommends frequent and thorough hand washing, covering your cough or sneeze with a tissue or sleeve and staying at home when you are feeling ill.
For the full flu vaccination clinic schedule please call 416-338-7600 or visit http://bit.ly/1huECvB. On the first Sunday in November, November 3, most areas of Canada on Daylight Saving Time return to Standard Time at 2:00 a.m. local time. At the end of Daylight Saving Time, please turn your clocks back one hour. The advertising campaign – displayed on the sides of TTC buses – features a painted face with the eyes focused on either a pedestrian, a cyclist or a vehicle. Highlighting the slogan “Stay Alert – Stay Safe,” the campaign reminds people that it is vital to be aware of others using city roads. Statistics compiled by the City show that there is an increase in collisions involving pedestrians at this time of the year. So far in 2013, 30 pedestrians have been killed in collisions with vehicles – up from 18 deaths at this time last year. More road safety tips, as well as the campaign’s advertisements, are available at http://www.toronto.ca/stayalert . The City of Toronto has launched a new blog to help Torontonians learn more about the Heritage Conservation District (HCD) studies and plans happening throughout the city. The blog is called Heritage Conservation Districts in Toronto. It is maintained by Heritage Preservation Services, City Planning Division. Each HCD study or plan has a dedicated section in the blog where readers can find detailed background information, study area boundary maps, read community consultation presentations and use feedback forms. The blog also has historic photo galleries and a page dedicated to answering frequently asked questions. The City of Toronto is currently studying five potential HCDs, comprising about 2,000 properties. King/Spadina: between University Avenue and Bathurst Street east of Spadina Avenue, the study area runs between Queen and Wellington Streets. West of Spadina Avenue, the study area runs between Adelaide and Front Streets. Each area is subject to two phases of work – an HCD study followed by an HCD plan. HCDs are enclosed by a boundary and designated under Part V of the Ontario Heritage Act. Once an area receives the HCD designation, the heritage designation helps manage change and growth within the historic neighbourhood. District plans are designated to protect and maintain heritage value and character. More information is available at http://hcdtoronto.wordpress.com. With support from the Land Stewardship and Habitat Restoration Program (LSHRP), Earth Rangers will turn two fields infested with invasive plants into tall grass prairie meadows with a wetland area. This is among 24 projects across the province this year that will receive support from Ontario to help restore and rehabilitate more than 1,024 hectares of important habitat and protect biodiversity in Ontario. Applicants are required to match funding equal to their funding request. This means at least $300,000 in additional support will be leveraged within communities to support these projects. Ontario is home to more than 30,000 species, all of which are important to the biological, social and economic vitality of the province. Read more about the Land Stewardship and Habitat Restoration Program (LSHRP). See the list of Land Stewardship and Habitat Restoration Program projects (pdf) underway in your area. Find out more about Ontario’s Biodiversity Strategy. Learn more about what Ontario is doing to protect species at risk. This video presents “At the Center of Everything – Montréal Convention Center”. MONTREAL, Oct. 25, 2013 /CNW Telbec/ – On October 24, the Palais des congrès de Montréal picked up 3 international awards at the Meeting Industry Marketing Awards in London. Our At the Center of Everything marketing campaign won in the “Best Direct Marketing Campaign” category and for “Best Brand Marketing Campaign.” The Palais also earned an award in the “Best Team” category, a clear nod to the strength, dedication and performance of the marketing and sales teams working tirelessly to help the Palais develop its markets. Jointly developed by the Palais marketing and communications, business development, research and event management teams, and the Paprika firm, the campaign was subsequently adapted for the U.S. market. “The members of the business development team enthusiastically contributed to the campaign’s success, in tandem with their marketing colleagues, and they all deserve to rejoice in everything winning these prestigious awards implies. They are undisputedly the best team in the industry,” declared Luc Charbonneau, the Palais des congrès de Montréal Director of Business Development and Strategic Alliances. Intended for international associations, the campaign made its mark thanks to a straightforward approach that revolved around one keyword: “proximity.” It centred around a map of the city of Montréal, which when unfolded origami-style revealed a series of highly stylized booklets whose topics ranged from the city’s main economic drivers, the convention centre’s proximity to everything, our knowledge community, our creativity and many other plusses. The mission of the Palais des congrès de Montréal is to attract and host conventions, exhibitions, conferences, meetings and other events. A public institution with a commercial vocation, the Palais generates major economic spinoffs for Montréal and the province of Québec and has contributed proudly for 30 years to sharing knowledge and enhancing Montréal’s international reputation as a first-rate destination. To learn more about the Palais des congrès de Montréal, visit our website at congresmtl.com. The Toronto Transit Commission will be conducting track work on a section of the Bloor-Danforth line on Nov. 2 and Nov. 3. In order to undertake this work, there will be no subway service between Jane and Kipling stations. A shuttle bus service will operate every 2-4 minutes between Jane and Kipling stations. Wheel-Trans buses will be stationed at Jane and Kipling stations to assist customers who require accessible service. Normal subway service will resume on Mon., Nov. 4 at 6 a.m. The intersection of Lake Shore Boulevard and Lower Spadina Avenue will be partially closed this weekend and next weekend for streetcar track construction. From Friday, November 1 at 7 p.m. to Monday, November 4 at 6 a.m.
From Friday, November 8 at 8 p.m. to Tuesday, November 12 at 6 a.m.
Traffic travelling eastbound on Lake Shore Boulevard will be reduced to one lane at the intersection. The ramp from the eastbound Gardiner Expressway to Spadina Avenue will also be reduced to one lane during these times. Overnight work is expected to take place during this closure. Traffic that is westbound on Lake Shore Boulevard will not be affected by the work. Truck and bus drivers travelling southbound on Spadina Avenue should note that only passenger vehicles will be permitted to turn left onto eastbound Lake Shore Boulevard. Trucks and buses will be directed to divert via Bremner Boulevard to Rees Street, Lower Simcoe Street or York Street, where they can turn south and re-join eastbound traffic on Lake Shore Boulevard. The 510 Spadina TTC bus has been using the Bremner Boulevard route for the past few months. Construction along the 1.7-kilometre stretch of Queen’s Quay from just west of Lower Spadina Avenue to just east of Bay Street will completely rebuild and revitalize the area – both above and below ground. Waterfront Toronto is leading the transformation of Queen’s Quay, which is expected to be complete by spring 2015. The City of Toronto’s Transportation Services division will be removing an overhead sign from the Gardiner Expressway on Sunday morning. To ensure safety for the public and those working at the site, the eastbound lanes of the Gardiner Expressway will be closed at Park Lawn Road on Sunday, November 3 from 12:01 a.m. to 4 a.m. Eastbound traffic using the express lanes will be diverted to the collector lanes at Kipling Avenue until Park Lawn Road, at which point traffic will be diverted off the Gardiner Expressway. Traffic can rejoin the eastbound Gardiner Expressway via Lake Shore Boulevard or South Kingsway via the Queensway. The sign that is being removed spans the eastbound lanes of the roadway just west of Grand Avenue. The sign structure was rated in good condition during an inspection two years ago, but an inspection during the closure of the Gardiner Expressway in September determined that the structure is now in poor condition and needs to be removed. A more complete list of events and road work is available at http://www.toronto.ca/torontostreets/. In addition, the City’s T.O. INview, a map that shows planned capital construction work across the city, can be accessed at http://www.toronto.ca/inview. As clocks are turned back this weekend, The City’s Toronto Fire Services reminds residents to replace the batteries in smoke and carbon monoxide alarms. Most home fires start when people are asleep. Instead of waking you up, smoke from a fire can put you into an even deeper sleep. A working smoke alarm will detect smoke and immediately sound to alert you. This early warning will increase your chances for survival by providing more time to escape. The majority of fire deaths occur in homes that do not have working smoke alarms. Installing and maintaining home smoke alarms will help cut these risks in half. Smoke alarms are inexpensive, easy to install and should be tested regularly by pressing the test button. By gently vacuuming out your unit, you can also prevent a build-up of dust that can activate false alarms or prevent your alarm from detecting the smoke from a fire. In addition to maintaining smoke alarms, families should develop a step-by-step home escape plan so that all members, especially children and older adults, are knowledgeable and confident about how to escape in the event of a fire. More information is available at http://www.toronto.ca/fire/prevention/smoke_alarms.htm. Advice for dealing with nuisance alarms can be found at http://makeitstop.ca.